Directed by Hu Jie. 2007. 68 minutes. 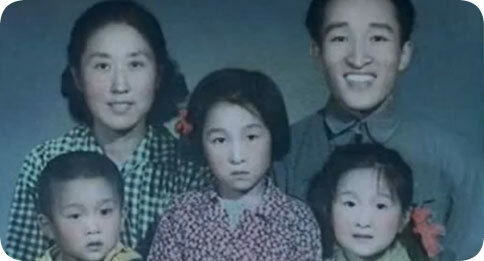 The documentary Though I Am Gone by Chinese independent filmmaker, Hu Jie concerns the death of Bian Zhongyun, the leader of a prestigious Beijing girls’ high school, mother of four, and a victim of the Chinese Cultural Revolution (1966-76). On August 5th, 1966, Bian collapsed on the school campus after enduring prolonged verbal and physical abuse by her own students and died shortly thereafter. Her death has become one of the best known and most symbolic Cultural Revolution (CR) deaths, and the attention paid to it is well-deserved. Bian was the earliest victim from a student beating in Beijing. It took place in broad daylight, within only a few miles from Zhongnanhai, the headquarters of the Chinese Communist Party (CCP). The brutality of the act, the prestige of the school (it was the most prestigious girls’ high school in Beijing) as well as the gender of the actors made Bian’s death one of the CR’s most shocking and perplexing cases. Many similar deaths would soon follow in Beijing and throughout the country, making Bian’s death both consequential and portentous. The “star” of Hu Jie’s film is Bian Zhongyun’s husband, Wang Jingyao. Now over 80, the elderly man speaks about his wife’s death with frankness and emotion. For more than 40 years, Wang has carefully kept Bian’s blood-stained clothes, her watch that stopped at the exact moment of the beating, and photos taken right before her cremation revealing her bruised body. This is the first time, through Hu’s camera, Wang is able to show Bian’s story, including her brutal death, to the world. The effect is powerful, if only for demonstrating the care he has taken of these items under extremely difficult circumstances. Wang Jingyao has done a great service to the memory of those who died during the Cultural Revolution, and deserves the deep respect of all those who do not want to forget the Cultural Revolution, but instead want to learn from it. But to forget appears to be exactly what the Chinese government wants its people to do. The Cultural Revolution has become a highly sensitive and effectively forbidden topic in China. The younger generation, born after the Cultural Revolution, know almost nothing or only know very distorted “facts” about that ten-year long catastrophic event that brought so much misery to so many Chinese families. Hu Jie is a highly accomplished and well-respected Chinese independent film maker who has a long list of works under his name, most of which cannot be shown publicly in China, including Though I Am Gone. We can only imagine how difficult it is for Hu to produce his films, with neither state permission nor its financial support. Only a committed person who takes what he does as a “calling” as does Hu, can persist. In the film, Wang Jingyao not only reminisces, but also reflects. Like his wife, he was an idealist who joined the Communist revolution in his youth. A very moving scene in the film is Wang talks about their youthful aspirations and struggles, accompanied in the background by a well-known Chinese revolutionary song. Why did the revolution devour her own children in the end? asks the old man, without answer. Weili Ye, Ph.D. of Yale University, professor at Department of History, University of Massachusetts, Boston, is the author of “The Death of Bian Zhongyun” (Chinese Historical Review, Nov. 2006), Seeking Modernity in China’s Name: Chinese Students in the United States 1900-1927 (Stanford University Press, 2001), Growing Up in the People’s Republic: Conversations between Two Daughters of China’s Revolution (Palgrave, 2005), and other articles and writings, in both English and Chinese. Though I Am Gone is distributed in the U.S. by dGenerate Films. DVD purchases for Colleges, Universities, and Institutions is $295.00. DVD purchases for K-12, Public Libraries, and Select Groups is $95.00.